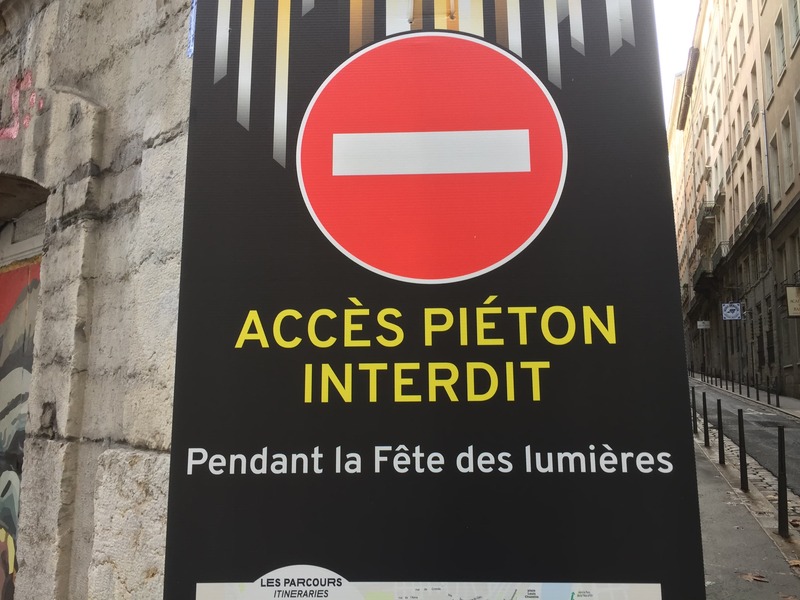 Rumours that this year’s Fête des Lumières may be cancelled due to the protests-turned-riots across Lyon have been well and truly quashed, but today’s Press Conference left no doubts that security will be at the forefront of this year’s festival. The secured zone can only be accessed by pedestrians. Like the previous years, there will be a security perimeter around the main displays, with 38 pedestrian entrances. Be prepared to be security-checked when entering the zone. No cars or bicycles will be allowed into this area during the festival. These rules will be in place from 6pm until midnight on the Thursday and Sunday, and 7pm until 1am on the Friday and Saturday. The security perimeter will cover the majority of the Presqu’île, and parts of Old Lyon and the outskirts of the Parc de la Tête d’or. Car parks in the area will be closed from 5:30pm every day of the festival, and many car parks on the boarders of the security perimeter will be shut from 11pm until 1am. Organisers have ensured that there will be plenty of security personnel on hand to keep visitors safe. A massive 1200 security agents will be at the Fête des Lumières. 200 police officers and 237 security agents will look after security at the perimeter. Members of the army will also be deployed to support the security personnel. Around 100 police offices will be there just to handle traffic. Specialist groups will also be mobilised, such as the anti-terrorism squad.